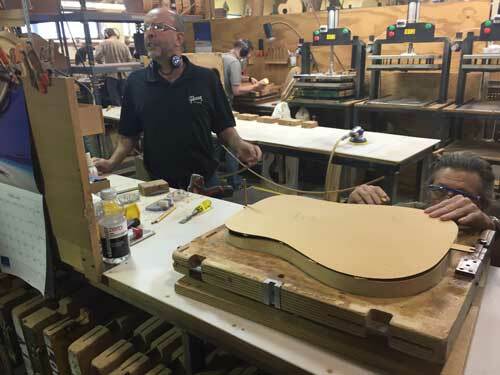 Earlier in April, a few of us were fortunate enough to visit the Gibson acoustic guitar factory in breathtaking Bozeman, Montana. An extensive tour of each part of the factory commenced, and we were impressed with the amount of elbow grease that goes into making each one of these fine instruments. Trust us — when Gibson claims these guitars are handmade, it’s not any marketing mumbo jumbo — it truly is the real deal. 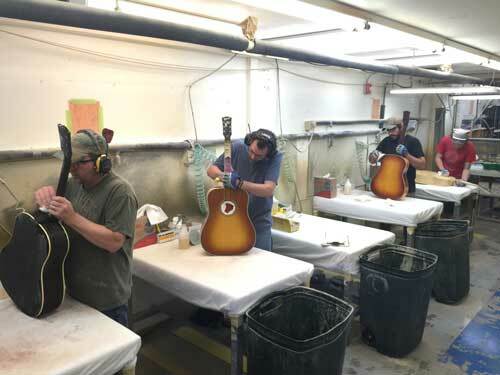 Gibson factory workers adding some final touches before the bridges are attached. Now, we all know that Gibson acoustics are some of the top guitars in the business, but have you ever wondered why? Many guitars are made out of the same materials, like Sitka spruce, rosewood, mahogany, etc., but what really sets Gibson apart? 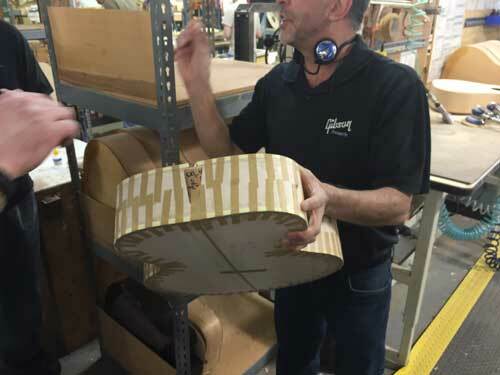 After seeing the construction of these guitars, it became abundantly clear that Gibson’s long tradition of fine instrument crafting is still alive and well, and that this tradition and technique is what gives these guitars their signature tone. Check out four factors that set Gibson acoustics apart from others below. One of the hardest parts of guitar building is getting the entire instrument to sound like a single piece of wood. Clearly, the more pieces of wood you add to a guitar, the harder this task becomes. By attaching the neck to the body of the guitar with a dovetail joint on every guitar that comes out of the factory, Gibson acoustics offer more resonance by creating as snug a joint as possible. While the body’s neck pocket and the neck’s joint are initially created with a generic template, when it’s finally time to join the two pieces, each pocket and joint are oh-so-carefully whittled down until they become perfect mates for each other. Note the V-shaped dovetail neck pocket. This incredible attention to detail produces unique joints for each and every guitar, ensuring the tightest possible fit. The powerful bond that’s created is essential to achieve the Gibson acoustic tone, allowing for more resonance and string vibration to be transferred from the neck to the body. You’d have a hard time finding a flat-top acoustic guitar from any brand that doesn’t come with any internal bracing, but it’s really how the bracing is designed and placed that makes these Gibsons something special. Scalloping the braces allows the top of the guitar to remain strong, yet the scalloping reduces mass and allows the top to vibrate more freely, greatly affecting the overall tone of the instrument. Gibson also use their own unique bracing patterns that contribute to the different tones found among the models. The standard bracing has an X brace that is closer to 90 degrees, and can be found on most of the modern-style guitars. This bracing exhibits a controlled bass and smaller bridge plate. The vintage style bracing (or wide X bracing) has similar construction, but the X brace has a wider angle, with less of the brace on the lower bout of the guitar, increasing volume and boosting the bass response. While different, there is no good or bad, it really just comes down to preference. 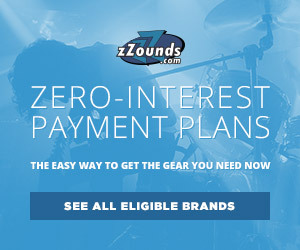 Try out a few different guitars and find the one that works best for you! A Gibson factory worker making sure that the back aligns just right with the rest of the body. Gibson acoustics also feature a domed top construction, meaning that the actual top of the guitar isn’t really flat, but has a slight radius. This slight curve in the top stores kinetic energy that is excited whenever the guitar is played. The dome also allows the top to function more like a speaker cone, projecting clearly with excellent articulation and tons of volume on tap. There’s nothing quite like cracking open the case of a Gibson guitar and getting a whiff of that sweet nitro lacquer. Just like their electric guitars, every single Gibson is sprayed down with multiple coats of nitrocellulose lacquer. This process is not only expensive, but also takes a long time time to complete since the lacquer requires time to cure in between each coat. Despite the time and money required to apply a nitro finish, Gibson proudly still uses the lacquer, even when much of the competition switched to polyurethane years ago. Spraying the sunburst finish by hand before the nitrocellulose lacquer is applied. So why is nitrocellulose lacquer such a big deal for Gibson? Many would argue that the thin nitro lacquer allows the wood to “breathe” and vibrate more freely than a guitar entombed in poly would. The thing with nitro lacquer, however, is that it never fully cures and will continually evaporate away over the course of decades, getting thinner and thinner, which of course makes the guitar’s tone sweeten over time. You could say that every time you pick up your Gibson acoustic, it sounds better than the last time it was played. As a side note — I’m a sucker for guitar finishes that have worn away, checked by weather changes, and overall, have just aged along with the guitar’s owner. A poly finish will look the same in 50 years as it does today, while a nitro finish will age gracefully, proudly displaying all the nicks and battle scars it has previously endured, making for an infinitely cooler guitar. 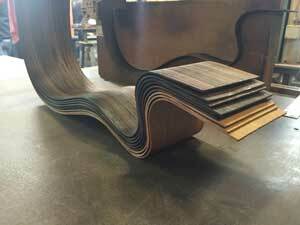 Various pieces of sides after being bent into shape. Note the form press in the background. Finally, as previously mentioned, these guitars are handcrafted from some of the finest woodworking artisans Bozeman, Montana has to offer. While machines are used for making bridges and cutting out the headstock pattern, an overwhelming majority of the guitar-making process involves crafting by hand. Sanding the tops, radiusing the fretboards, inlaying the fretboards, bending the sides, constructing the final guitar, and a host of other jobs are all done with the human touch. 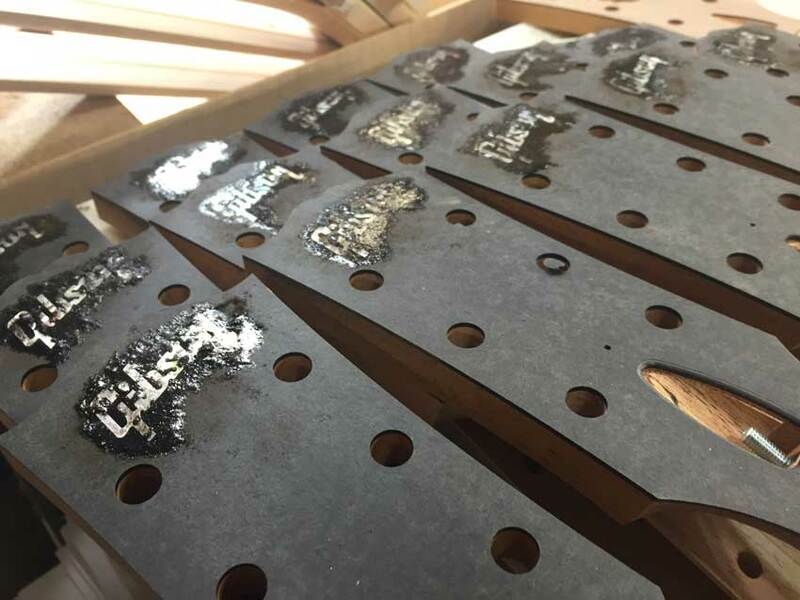 This ensures that each guitar gets special attention and a unique trip through the factory from start to finish. 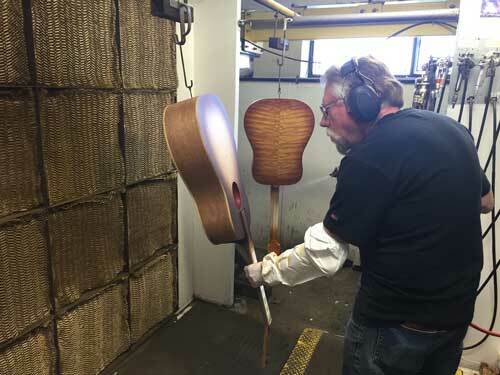 While the goal for a number of guitar manufacturers is to make every guitar within a model series sound as close to each other as possible, the very nature of how Gibson acoustic guitars are constructed makes each one sound a little different. The nuances displayed between guitars may not immediately be seen, but can definitely be heard and felt. Combined with the tradition, history, and the pride you feel when playing a handcrafted guitar, it’s really easy to see why Gibson acoustics have inspired countless guitarists to play for years. My wife gifted me with a Gibson J-15 after extensive research on her part for a playable guitar for someone with more advanced arthritis of the hands. Having beat and banged around on acoustic guitar for several years (I actually claim to “play” the pedal steel guitar), I was astonished by the great sound of the J-15. There is a factor that seems to happen when you pick a great guitar, where your heart beats a little faster, and something just seems to well up in your chest as you feel the vibrations from the instrument. Yeah, kinda’ like that falling in love thing! 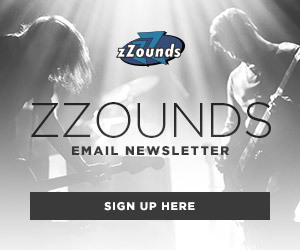 Mike, thanks for sharing — those J-15s are some amazing guitars! I recently purchased a Gibson J-185EC acoustic electric guitar from Zzounds.com. The finish is transparent black and the instrument is one of 65 produced in a limited run. This guitar sounds wonderful unplugged. Deep bass and crispy trebles. Much better than a couple of other name brand acoustics that need not be named here. I know because I’ve played several models of those other guitars. I absolutely love my Gibson acoustic and am so glad I made the decision to make that investment. And I do look at it as an investment. As you mentioned above, I’m hoping my guitar gracefully ages, sounding better and better as time passes. I gave it a good workout at two different events this past weekend an am very happy with its playability and the sound when plugged in. I’m not a new Gibson owner. I already owned a 2008 Les Paul Standard in heritage cherry sunburst with a flamed maple top. But I am now a very happy new Gibson ACOUSTIC owner. Thanks for the blog. Dave, thanks for sharing! Glad you are enjoying your Gibsons!